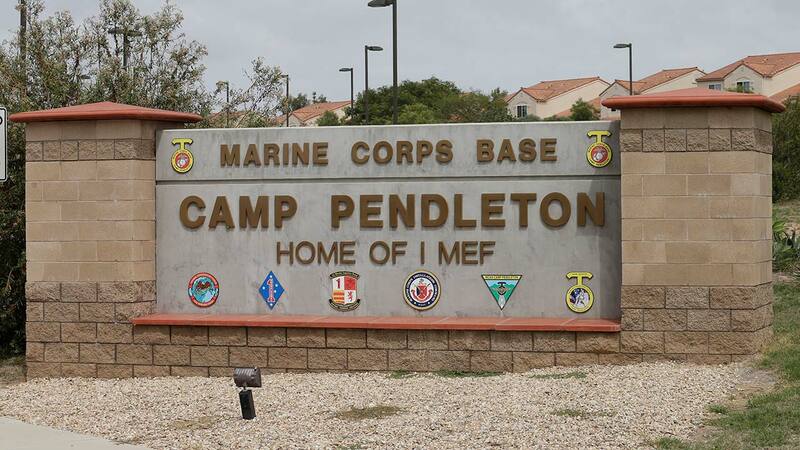 SAN DIEGO -- The military says 15 Marines have been taken to Southern California hospitals after a seafaring tank caught fire during training at Camp Pendleton. Marine 1st Lt. Paul Gainey told The Associated Press that at about 9:30 a.m. Wednesday an amphibious assault vehicle caught fire while the Marines were conducting a training exercise on a beach at the base, north of San Diego. Gainey says the Marines were being treated at hospitals in the area, including off the base. He had no information on their condition, the seriousness of their injuries or whether any suffered burns. He says there were no deaths. Gainey says the command is investigating. The troops are with the 1st Marine Division based at Camp Pendleton. Gainey says he had no further information to release yet.